New year, new travel habits. We're trying to fly a little less than usual this year to cut down on carbon emissions. And so, you'll find a couple "local" destinations within Germany, Austria and Switzerland on our list this year. 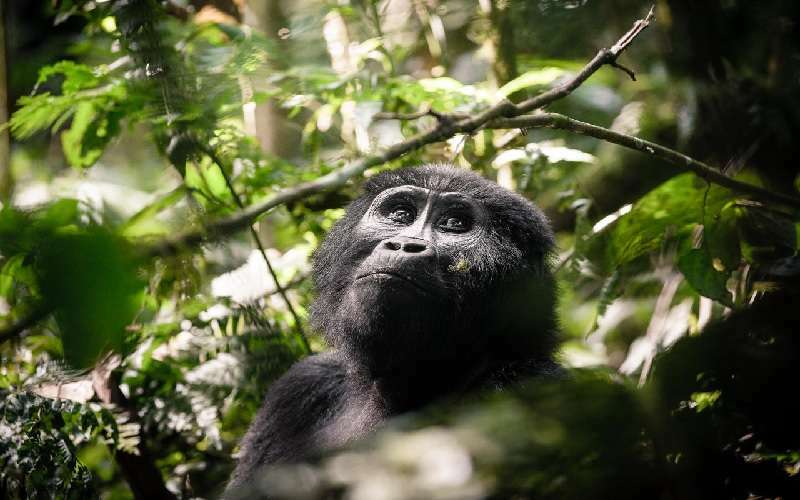 You'll also find a trip of a lifetime planned to Africa in autumn, where we will be exploring Rwanda, gorilla trekking in Uganda, and doing a classic safari in Kenya. The best part? It's been fully booked through a sustainable tour operator. And yes, all flight emissions will be carbon offset. Now without further ado, let us present to you the places we are most excited to visit in 2019 - from the Austrian Alps to the African Savanna. This region was one of our travel highlights of 2018, and it looks like it will continue to be on the list for 2019. Because sometimes the most beautiful landscapes are only a quick drive away. Lonely Planet describes Baku as "the architectural love child of Paris and Dubai". We're intrigued to go see whether this description holds true. We love destinations that have beautiful landscapes and beaches, yet also offer a handful of culture to indulge in. And just like that, Cyprus made the 2019 shortlist. One of those destinations that has been on our list for a while, but always seemed a little "too close" to our current headquarters to feel adventurous. Yet after being inspired by the Faberge Museum in St. Petersburg, and hearing wonderful things about the Roomers Hotel, we decided Baden-Baden would be the perfect destination for a weekend trip. The one thing we love more than travel? Music! Naturally, traveling for music is one of our favorite activities. This year, we are finally trading in US festivals for European ones. So come find find us at the 53rd Montreux Jazz Festival by Lake Geneva. They say Tbilisi is becoming the new Berlin. And given how we've fallen in love with Berlin over the last three years, we think it's time to explore this part of the world that connects the European and Asian continents. You guessed it, we'll be traveling from Georgia to Armenia within the same trip. Most likely by train to save another flight segment. From an economic viewpoint, Armenia was crowned Country of the Year 2018 by The Economist, and we're curious to explore a small part of it. We're making one of the ultimate travel experiences on our bucket list reality - gorilla trekking in Uganda. It's always been on our list, but after Impact Travel Alliance's founder Kelly Louise spoke about the experience at the ITA Global Conference in NYC in 2016, we were knew this would be our next BIG trip. Kigali is our gateway into Uganda. We are taking the chance to explore Rwanda's capital city and learn about the horrible history of the Rwandan genocide. The final leg of our Africa adventure entails a classic safari in the Masai Mara Natural Reserve, alongside spending some time in Nairobi - one of Africa's most cosmopolitan cities!